Register Log In AmbergrisCaye.com Home Forums Culture Food & Recipes Hot Pink Potatoes? Bogus! Dangerous! Here is a photograph that shows the difference between the two potatoes. 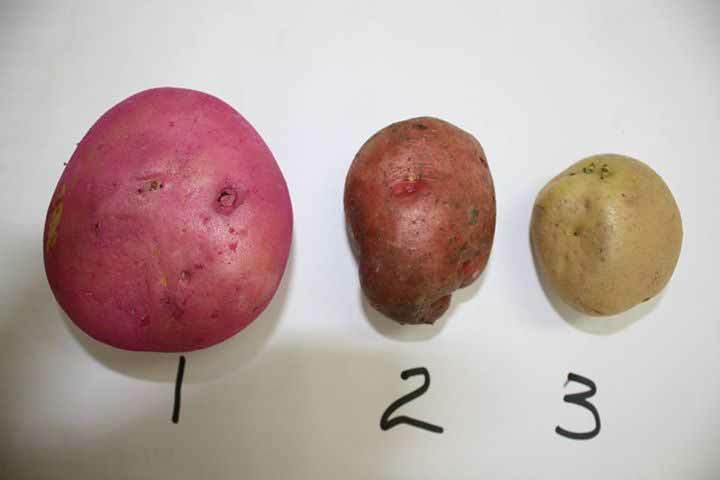 The potato labelled number one is the tainted product, and number two is the locally produced red potato. One resort owner complained of sick guests that consumed tainted potatoes that were dyed red if not pink. The complaints and photos on this page showed that those potatoes were not only prevalent in Cayo but also the Belize District and even in Placencia and San Pedro. 15,000 pounds of potatoes that were allegedly brought in by contrabandistas. But the swiftness of the mass distribution across the country is evidence in itself that a few independent people could not have done it. As the first small batch of potatoes got people sick other small importers roof wouldn't have found any market for the potatoes. But the testimony of many people on this page that all bought these potatoes in such a short span of each other is evidence that a formal, legal and well trusted and established distribution chain was used. How is it possible that all these trusted markets and stores had them so quickly? I've asked a few. They've all bought them from their their trusted supplier. When further questioned under anonymity, they said these potatoes were legally brought into the country. And they also fell victim to legal suppliers who wanted to mask the imported product as part of the local supply. 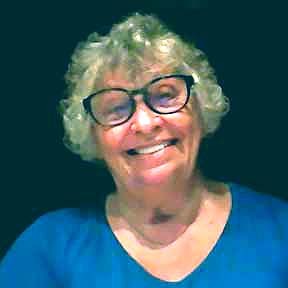 The Belize Agricultural Health Authority and the police department should pursue the case but they may not want that sack of potatoes to fall on them. A quick check with supplies control will show the few who import potatoes, how much, and how recently they were brought in via the Santa Elena border with Mexico. Also the sales of these importers can also be checked. They should be suffering great losses if they weren't the ones selling these potatoes. And I've confirmed my investigation with multiple sources. Does "painted" equal tainted?" What is wrong with the Mexico potato except it being brought in illegally? Last edited by ScubaLdy; 02/06/15 03:30 PM. In early February, the Belize Agricultural Health Authority (BAHA) and the Ministry of Natural Resources and Agriculture issued a joint statement warning Belizeans against purchasing potatoes of a hot pink color which had suddenly appeared on the market.